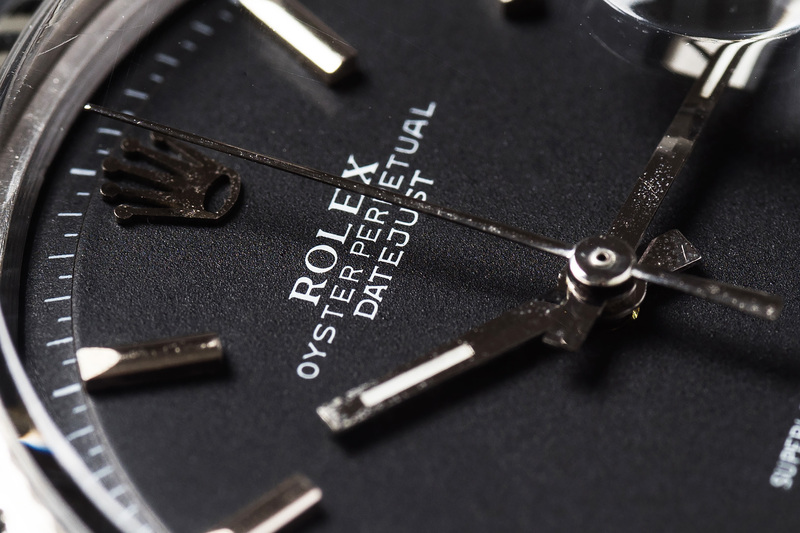 We got another one – A beautiful 1601 Datejust with a killer matte black dial! 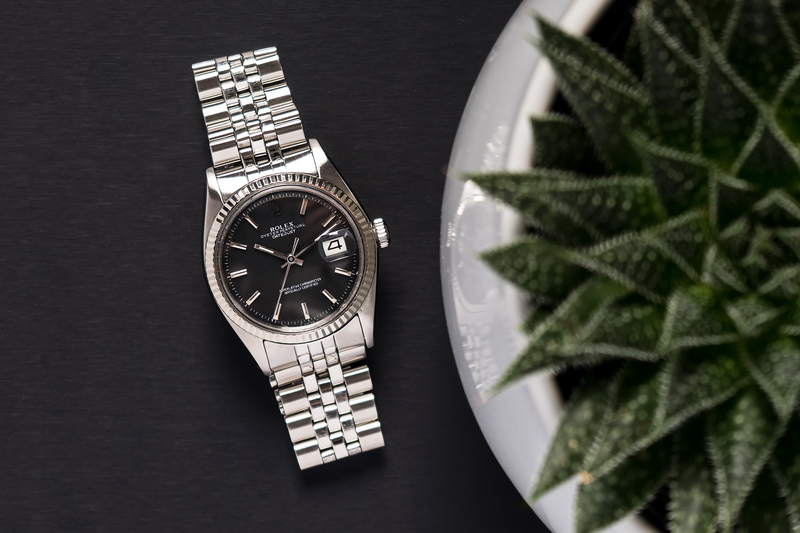 The matte black dial is one we do not encounter that often with a vintage Datejust, usually its a silver or champagne dial that decorates this classic Rolex. 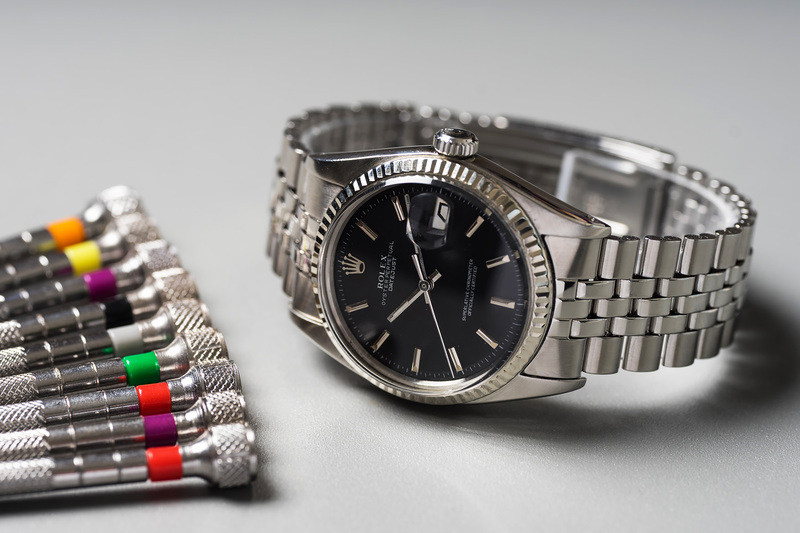 But here at WWH we love to offer you the more rare dialed Datejust watches with a color that’s different from the norm! Besides the fact that we are dealing with a matte black dial it’s also a so-called ‘No Lume’ dial. This means that the dial itself was produced without the luminous plots at the end of the hour-markers. Usually the hands are also without lume but at some point these were exchanged for hands filled with Tritium. Nevertheless, without the lume plots present, the dial has a somewhat cleaner and more peaceful appearance – pretty cool! Another cool feature on this dial are the fat stick indexes, these look like the end of a flat head screwdriver because of the way they were cut and faceted. 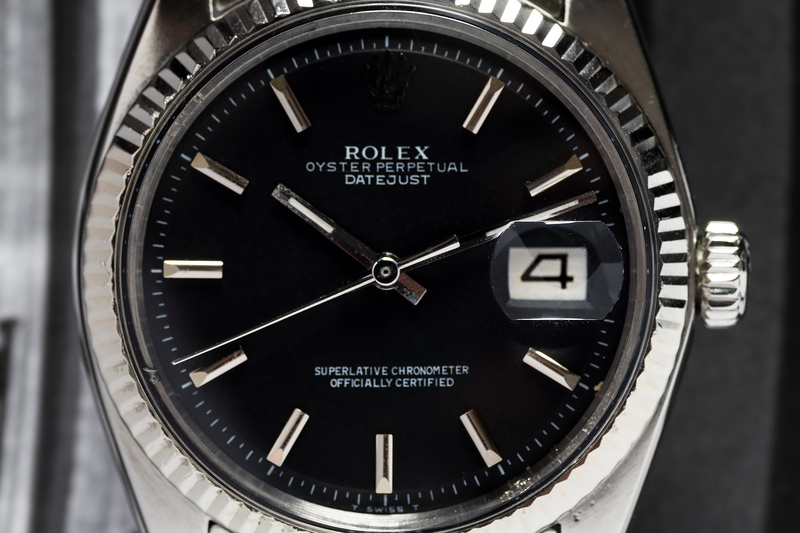 Details like this just make the difference with these awesome classic Datejust watches. We are also a big fan of the fat and slighty more raised Rolex crown at the twelve o’clock position on the dial! (even though its a b@#$h to photograph). 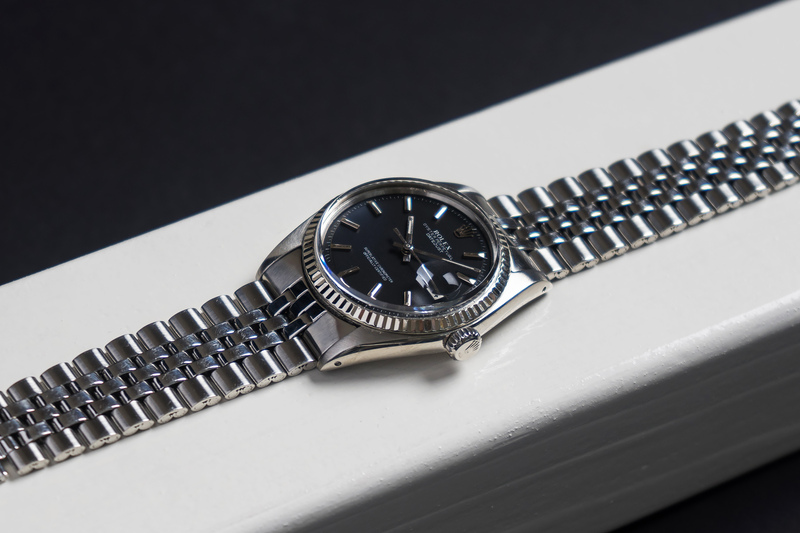 The Jubilee bracelet on this 1601 from 1973 is still the original folded one with bracelet code 6251H with 55 end-links and is in a perfect condition. 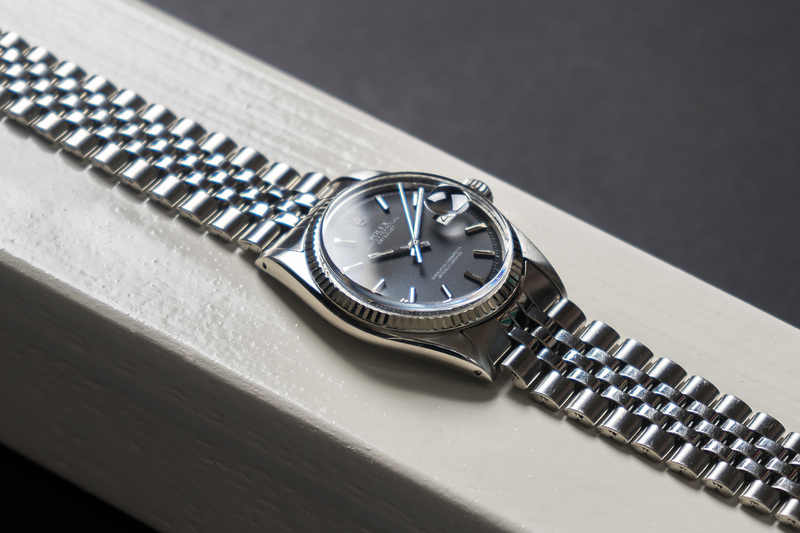 The bracelet shows minimal stretch for its age and the Rolex crown on the folding buckle is still clearly visible. The 18c white gold fluted bezel looks excellent against the matte black dial and compliments the entire watch! This truly beautiful and stylish 1601 Datejust is completely overhauled by our watchmakers. The watch will be offered with a 12 month warranty.